This is not just an ordinary vintage Ferrari. 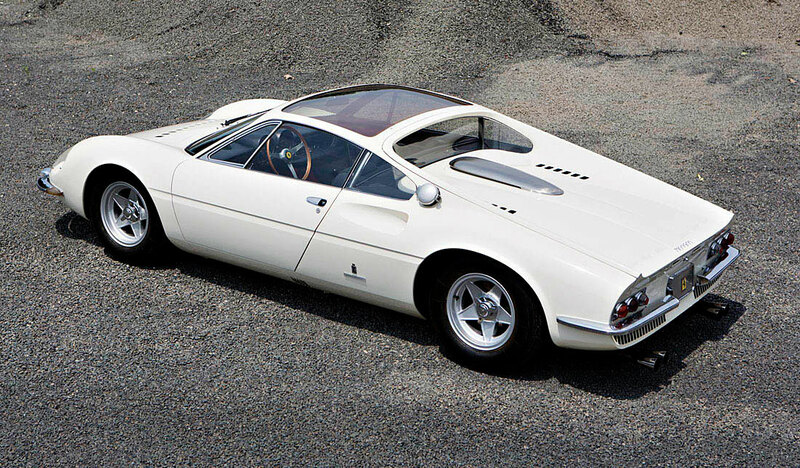 It is a 1966 Ferrari 365 P Berlinetta Special, which was really ahead of its time in many ways. The sunroof adds a then unique touch to the car, so when you drive the car, it feels much more like a convertible. SANTA MONICA, Calif. (July 23, 2014) – Gooding & Company, the official auction house of the Pebble Beach Concours d’Elegance®, is honored to announce that it will be presenting a bespoke 1966 Ferrari 365 P Berlinetta Speciale at its Pebble Beach Auctions on August 16 and 17. Known as Tre Posti due to its groundbreaking front three-seat layout, this exceptional Ferrari represents the intersection of three great names working at the height of their careers: Enzo Ferrari, Sergio Pininfarina, and Luigi Chinetti. Presented in wonderfully original condition and boasting just 7,900 km, the automotive masterpiece has captivated admirers since it was first introduced with its striking and glamorous Gardenia White exterior, black upholstery with bright red carpets, and distinctive moon roof. Never before offered at public sale, Tre Posti has been consigned for auction directly from the Chinetti Family. Luigi Chinetti Sr. was an Italian-born racecar driver who was instrumental in introducing the Ferrari marque to the world. He famously arranged a groundbreaking deal with Enzo Ferrari to become the first, and for many years, the only, Ferrari Factory dealer in the US. A larger-than-life figure, Chinetti’s awards and accolades included three wins at the 24 Hours of Le Mans, two outright victories at the Spa 24 Hours race, and served as captain of the North American Racing Team (NART). He won both Ferrari’s first and its last victory at Le Mans in 1949 and 1965. Chinetti’s love for automobiles and racing, as well as his appreciation of technology and engineering drove his business choices. Under his guidance he directed the cultivation of many outstanding Ferrari collections, only occasionally keeping a select few gems, including Tre Posti, for himself. The culmination of visionary ideas of proportion and detail resulted in one of the most exquisitely-executed Ferraris of all time. 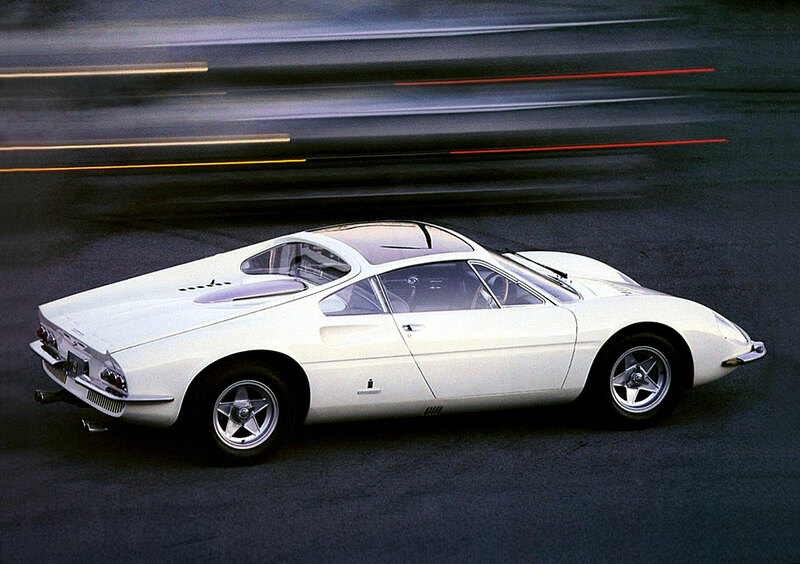 Tre Posti, a powerful three-passenger sporting coupe was a prototype based on the racing Ferrari 365 P2. 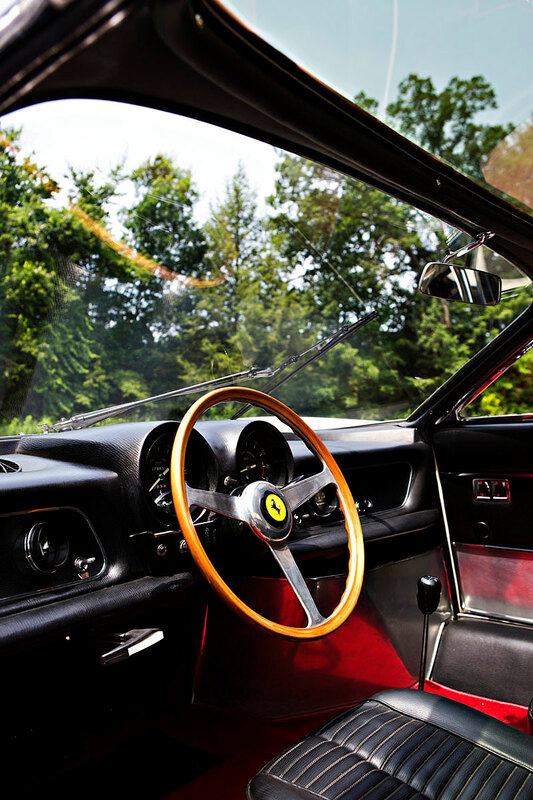 One of the most distinguishing features and a central element of the design was the Ferrari’s three-seat cockpit layout, which places the driver in the center of the car, slightly in front of a passenger seat flanking each side. 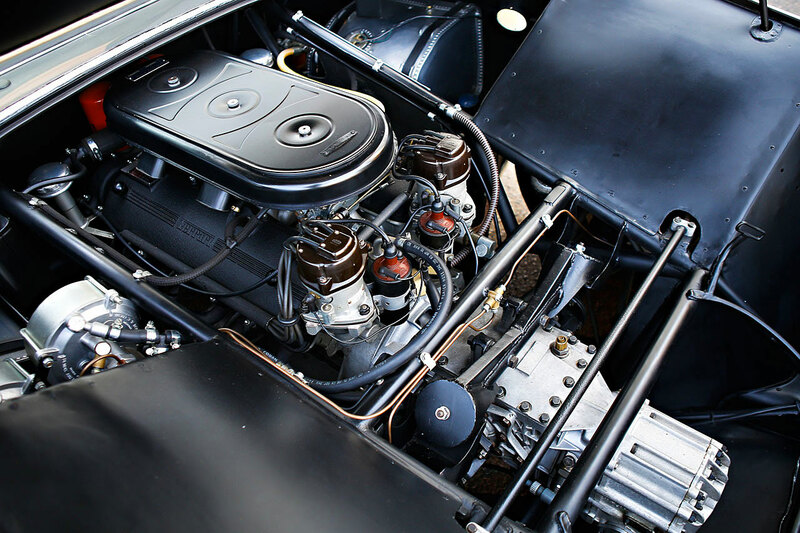 It is surely among the most remarkable layouts ever created for an automobile. Tre Posti also boasts a lavish interior with a seamlessly integrated chrome roll bar, competition pedal box, and gated shifter, which are further hints at the Tre Posti’s thoroughbred bloodline. 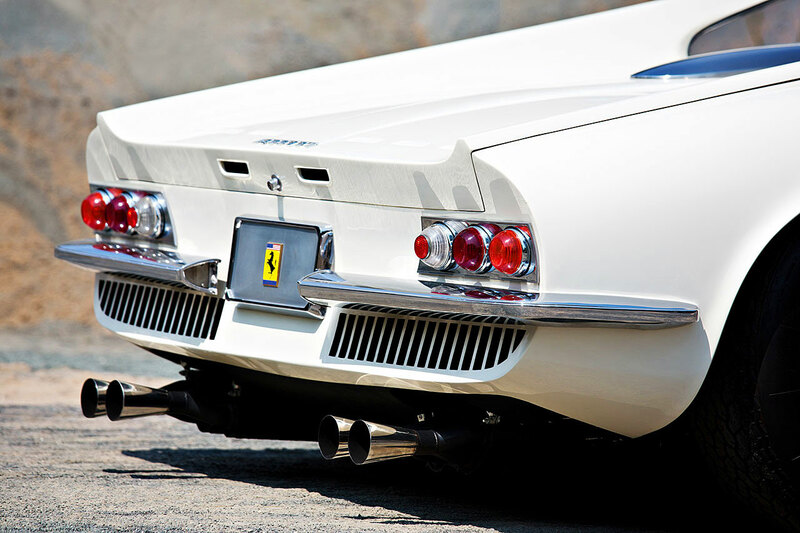 In addition, the Ferrari is enhanced with numerous unique characteristics including an expansive moon roof with state-of-the-art bronze-tinted glass and other signature Pininfarina styling cues such as covered headlamps, classic egg-crate grille and sweeping rear sails. From one’s first look, the 365 P Berlinetta Speciale is in the pinnacle of a long line of coachbuilt Ferraris and leads the most elegant and enduring sports car designs of the 1960s. 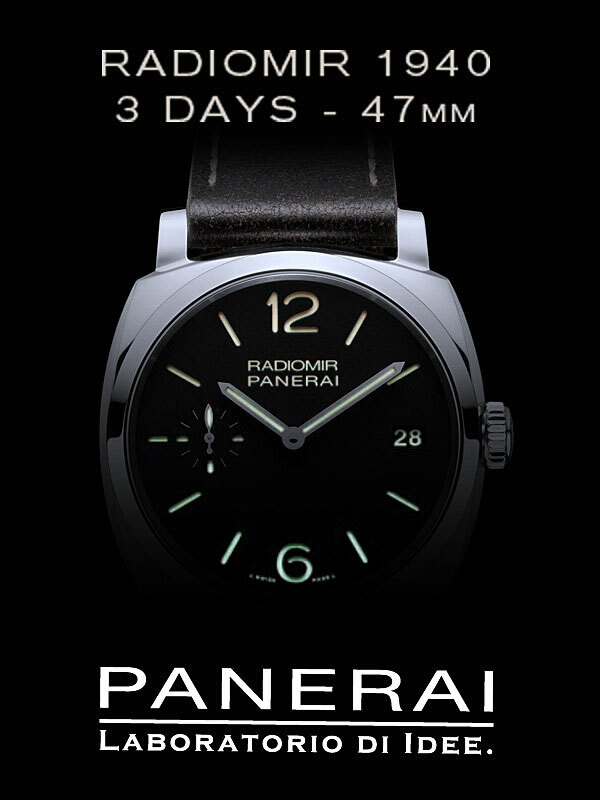 Tre Posti is the result of a unique collaboration between Enzo Ferrari, Sergio Pininfarina, and Luigi Chinetti. 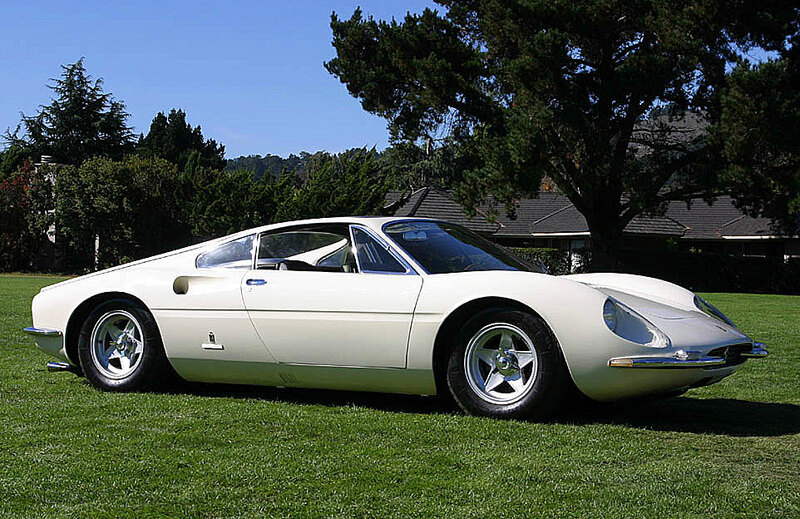 Constructed at the height of the P car program in 1966, the 365 P Berlinetta Speciale, chassis 8971, was the first mid-engine 12-cylinder Ferrari designed specifically for use as a road car. Tre Posti is a prototype model based on the Ferrari 365 P2, a model that was successfully campaigned by Chinetti’s NART. According to Pininfarina, the 365 P Berlinetta Speciale has the distinction of being the last car made by the firm for a private client. Before it was purchased by Chinetti Motors, this car was unveiled at the 53rd International Paris Motor Show as the key Pininanfarina show car. A global tour in 1966 and 1967 followed, including engagements at key auto shows in Brussels, London and Los Angeles. Dubbed “a world-wide novelty” in a Pininfarina press release from October 16, 1966, Tre Posti was met with great fanfare on the show circuit and was prominently featured in numerous magazines and publications. 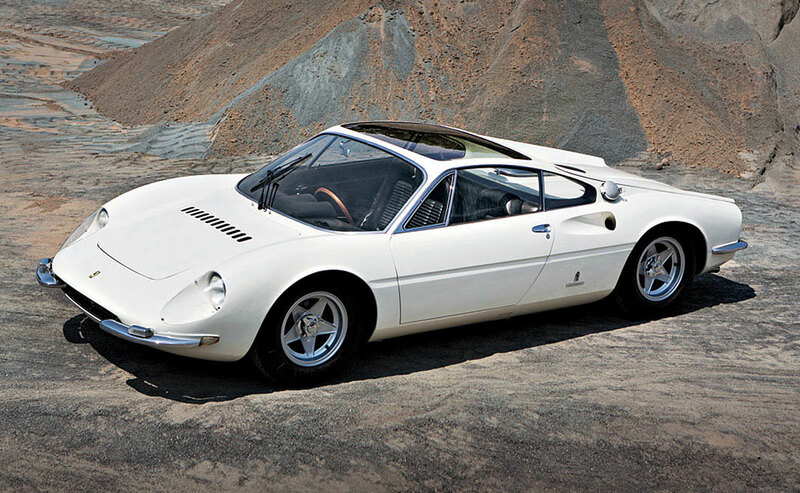 Since its delivery to Chinetti Motors in 1967, the car has only been sold twice to important Ferrari clients but returned to Chinetti family ownership in 1969, where it has remained ever since.